Over 9000 courses to play. Use gps course maps to navigate: distance to the basket, pin positions, directions to next tee. 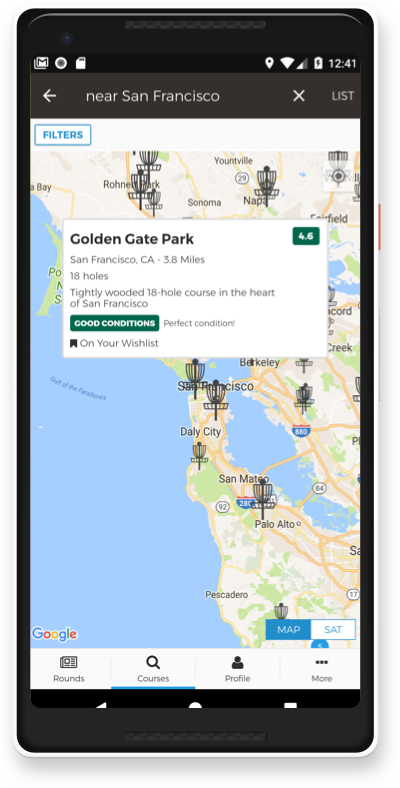 Sort by rating when traveling to find the best courses nearby. Track courses you've played and your course wishlist. 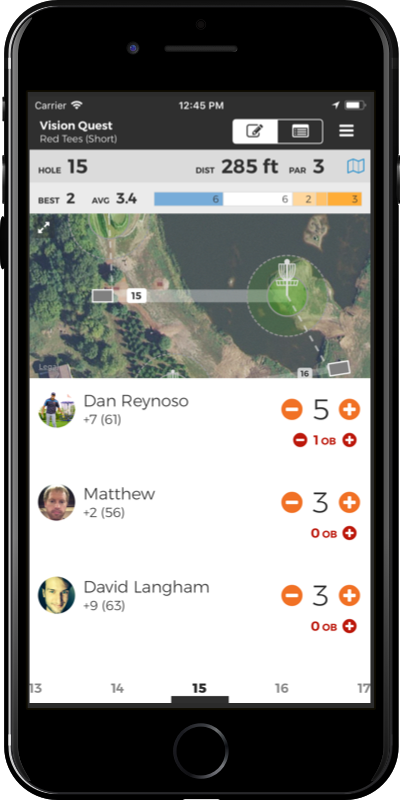 View your hole-by-hole averages and bests while you play. 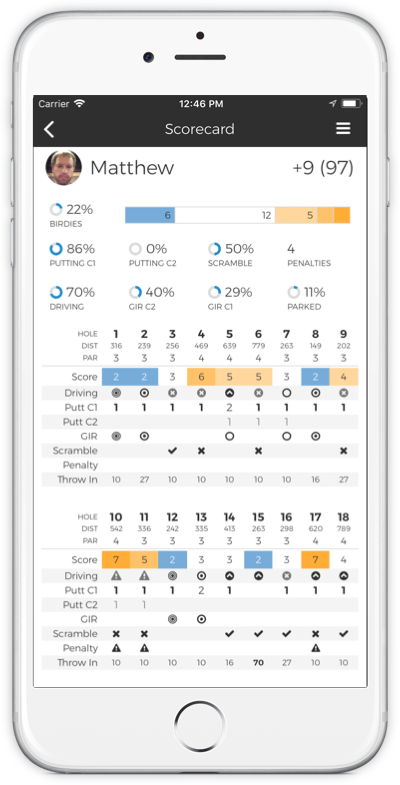 Share scorecards with friends to show off your great rounds. View insight into your rounds. Track putting, driving, greens in regulation, penalties, and more. Compete to beat your personal bests. Sync scorecards with everyone on the card. Compete on global and friend leaderboards. Keep score with Apple Watch and Android Wear. 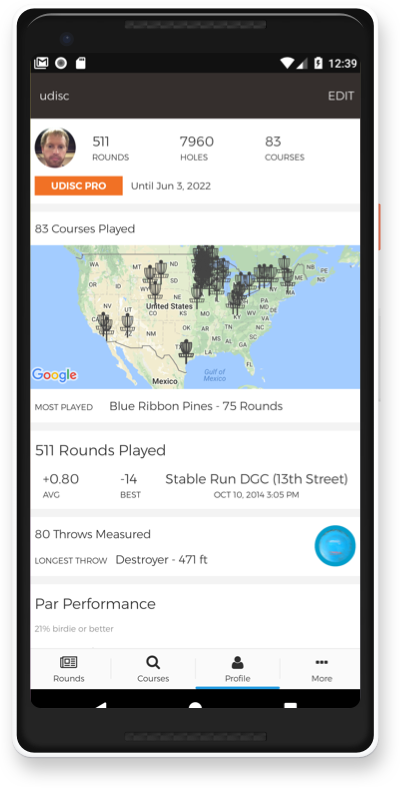 A Free UDisc Pro 1 month trial is included with the app. A yearly subscription is just $5, less than half the cost of a disc. What else can you do with UDisc? Keep track of your bag. Sort by speed, fade, glide, or average distance. Calculate your average and best distance for each disc. See how far you walked during your rounds. UDisc always knows who is first on the box and can speak the tee order before each hole. View instant scoring updates for over 30 top tier events inside the app. UDisc is optimized to use without an internet connection. UDisc is designed and developed by disc golfers. We're constantly updating and adding to the app. Must have for any serious player. Easy to use even for this 57 year old technology challenged individual. 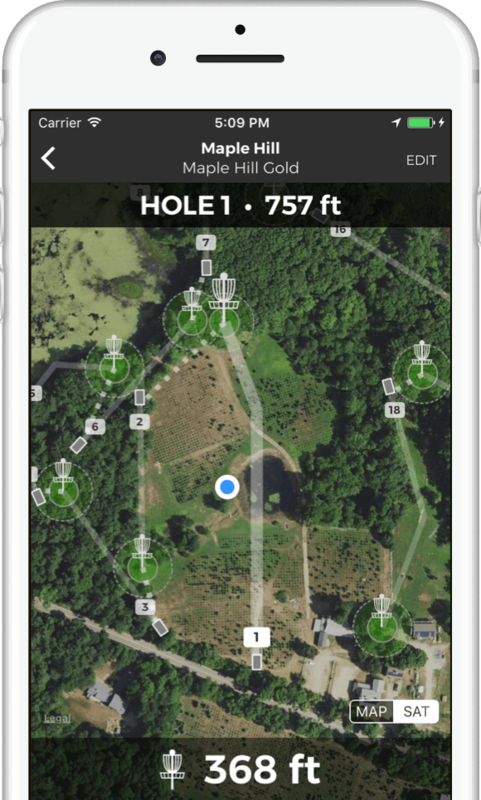 Great for finding courses and even better at finding the next tee on new courses. All the features you would hope for, expect, and more! UDisc is transforming the sport one throw at a time. We'd love to hear what you think - Please try UDisc and let us know!